April 17, 2019The Foreign Policy Research Institute (FPRI) will present its 15th Annual Benjamin Franklin Award for Public Service to H. R. McMaster at its 2019 Annual Dinner on Thursday, November 14, at the Union League of Philadelp​hia. 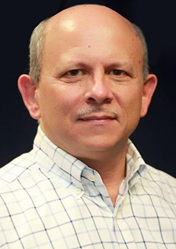 April 15, 2019Payments and data security expert, Jose Diaz, joins Prime Factors to oversee products and services. February 19, 2019Worlds Apart Study Released Today. UN Women for Peace Association’s Board Present UN Women With 50K Donation for UN Trust Fund to End Violence Against Women. At UN Headquarters in NYC.